Looking for a Used RLX in your area? 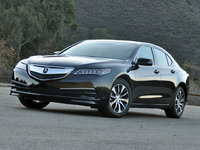 CarGurus has 648 nationwide RLX listings starting at $12,999. They say hindsight is 20/20, but just shy of 20 years after the RL's original debut, Acura has the foresight to coin a new catchy fraction based on drivers' deepest desires: 30/30. That's the promised fuel economy of the all-new 2014 RLX Sport Hybrid with super-handling all-wheel drive (SH-AWD) due late in the 2013 calendar year. A front-wheel-drive (FWD) RLX with the standard gas-only engine will be the first to arrive at dealerships, but it, too, offers impressive economy from a 310-hp 3.5-liter V6 that will power this luxury midsize sedan to 60 mph in 6.3 seconds. How impressive? Well, 20 mpg city/31 highway may not be as stellar as the Sport Hybrid's 30/30, but it's well above the 25 mpg highway typical of this class—and to do that while maintaining class-standard acceleration is a real feat. That said, the Sport Hybrid is easily the favorite to date not only for its economy, not only for its refined powertrain and not only for its enticing credentials on paper, but primarily because it simply handles like a sports car built for the everyday commute "should." Aside from the obvious performance perks that come with SH-AWD, the Sport Hybrid also offers 60 additional horses with its electric-gas pairing and uses a 7-speed automated manual as opposed to the 6-speed automatic with paddle shifters obligatory to the FWD RLX. Drivers who've gotten to test the pair already call the ride rougher than your typical luxury sedan's for its lack of ability to absorb bumps, but the Sport Hybrid takes the FWD's confident cornering up just a slight notch to make it fun. However, the RLX wasn't built to pick a performance side of the sport-commuter contest. It chooses to shine inside the cabin rather than under the chassis for an effortless and spacious experience from A to B. Offered in 5 versions, the Base is available with four upgrade packages: Navigation, Technology, Krell Audio and Advance. The RLX offers an 8-inch touchscreen in the Base and features like adaptive cruise control and lane-keeping assistance at the top shelf, but nothing a la carte in between. Compared to its RL predecessor, the RLX is both hugely roomy and massively more tech-inclined, with 3 cloud-based apps for smartphone integration and user-friendly interfaces for audio and navigation controls with improved sound routing based on the infotainment system's current mode. The adaptive cruise control works at any speed with any traffic density, and the lane-departure system gently takes over the steering wheel to nudge the car back on-center. Infiniti's new Q50 for 2014 also features a similar system, but in its first application of drive-by-wire for a production vehicle, Infiniti offers more autonomous correction, but without the tactile feedback of the RLX's version. 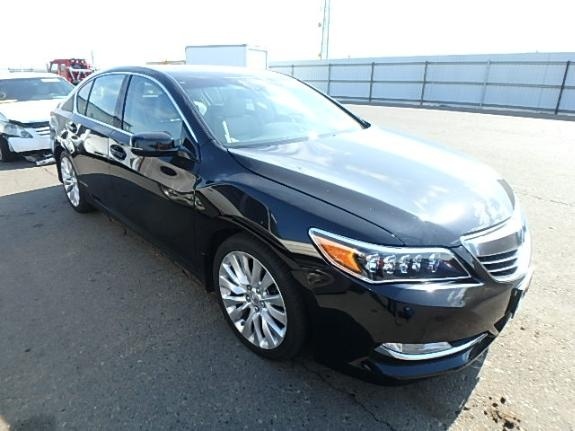 The clear defining line between an RLX and any other luxury midsize is its reliability; Acura uses time-tested technology and solid mechanical construction with the best responsiveness feedback on the market today. Acura—sounds like “accurate." That's probably not an accident. 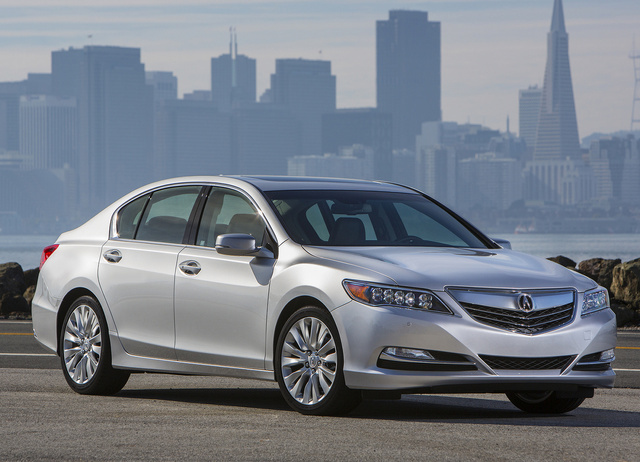 What's your take on the 2014 Acura RLX? TheHorror Does anyone even know another person who owns one of these things? Have you driven a 2014 Acura RLX?